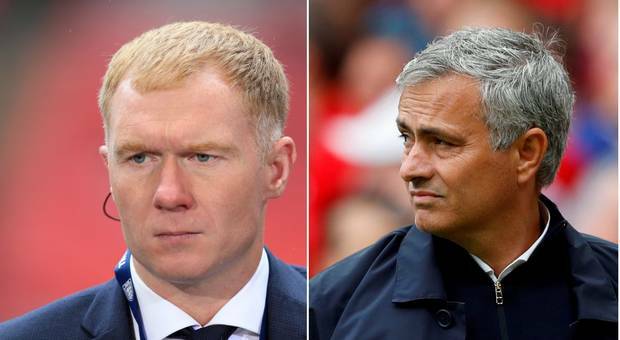 Manchester United Boss Jose Mourinho has come out to criticise manchester united legend Paul Scholes after the former united man criticise Paul Pogba's style of play. Paul Scholes claimed Pogba did not look fit and accused the playmaker of 'strolling through games' after United drew three Premier League games in a row. Paul Pogba returned to form on Monday night against Everton and help United to a 2nil win. Mourinho was quick to reply after he was asked about Scholes comment after the game. Mourinho said "The only thing Paul Scholes does is criticise"
"I don't think he comment . He criticises - which is a different thing." "Scholes will be in history as a phenomenal player - not as a pundit. If one day Paul decides to become a manager I wish that he can be 25 per cent as successful as myself." He said: "Where is the Paul Pogba we saw at Juventus? He was all over the pitch, he was battling, he was tackling, he was sprinting to people, he was scoring goals from 25 yards out." "He is just strolling through games."